Garda Commissioner Noirin O'Sullivan was urged to tell the Justice Minister of financial irregularities at Templemore training college as early as the middle of July 2015, a committee has heard. The force's head of legal services Ken Ruane said he felt the concerns were serious enough to ask the police chief to invoke the law on accountability and protecting the public confidence of the force. The watchdog also heard that the Commissioner was warned about issues at Templemore on June 30, 2015. Ms O'Sullivan previously said she became aware of the concerns at a brief chat in the college on July 27 that year despite the head of human resources John Barrett disputing her claims and insisting that the meeting lasted two hours. Mr Ruane told the committee that he met Mr Barrett weeks prior to that, on June 30 2015, and was told issues relating to the Garda college had been reported to the Garda's chief administration officer who passed them on to the Commissioner. He said there are notes to prove that his concerns and his advice was passed to the Commissioner and to a Deputy Commissioner. "I certainly felt it was a significant and serious issue," he told the hearing. A damning internal audit of the financial and accounting practices in Templemore by Niall Kelly, head of the Garda's internal audit unit and a civilian official in the force, uncovered dozens of bank accounts, a 5 million euro surplus and investment policies related to the college. The Public Accounts Committee is also examining issues raised over the leasing out of land and some of the money being spent on entertaining and retirement gifts. There is also a transfer of €100,000 to the Garda Boat Club. The committee was told that under section 41 of the Garda Act the Commissioner is obliged to tell the Justice Minister of accountability issues and any significant developments in relation to public confidence in the force. Mr Kelly confirmed he was running two other audits. One is on controls of cash in the Templemore college restaurant, shop, bar and vending machines and current banking arrangements and the other is on the use of EU funds by the force going back to 1998. An AIB bank account in Cabra is being examined as part of the second audit, the committee heard. Alan Kelly, Labour's deputy leader, claimed Mr Ruane's evidence to the committee was a complete contradiction of when the Commissioner knew about the financial irregularities in Templemore. Elsewhere, Mr Kelly opened the hearing with a withering attack on attitudes among the Garda's senior ranks to transparency, uncovering malpractice and management failures in the force. "I am convinced that there was and there may still be in some parts of An Garda Siochana a culture of not admitting to problems and when these problems persist, trying to keep them in-house and away from transparent public scrutiny," he said. "There is also evident a culture that thinks An Garda Siochana is different from other public sector bodies and that the normal processes of financial procedures and transparent democratic accountability do not apply." Mr Kelly, who has been in the chief auditor's job since June 2007 said he believed that he did not get full support for his work until last year. "Up to April 2016 there were attempts for information not to come to me," he said. "I believe now that has changed. I believe now that I am being led and provided with all the information that I require." The committee was also hearing evidence that reports on issues related to Templemore were first made in 2008 and 2010 but no action was taken to reform the irregular financial practices. Mr Kelly said some of the staff involved in administration in the college were gardai who had no training in running a large scale enterprise with a big budget. "I think on balance it's more incompetence than wilful neglect," he said. "In fact you could sympathise with them. They were put into these jobs, they hadn't much training for it, they muddled through as best they could but that wasn't adequate." The committee was told there is no evidence that any offshore accounts were set up relating to Templemore. It also heard that there is no proof that anyone gained personally from the financial irregularities in the college. 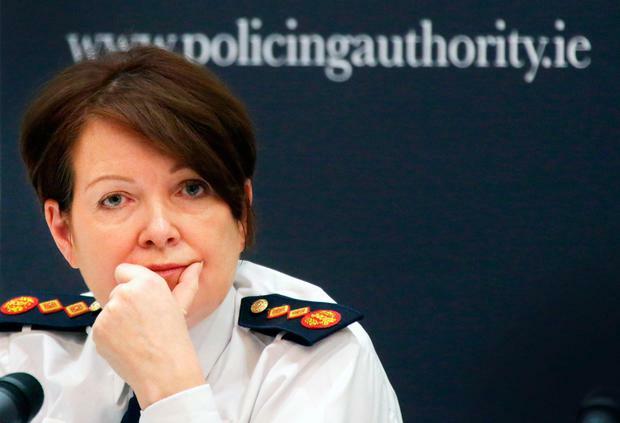 Some of the most heated exchanges at the hearing involved letters written by Michael Culhane, the Garda's executive director of finance, to Commissioner O'Sullivan and other senior officers. One from October 2015 suggested that Mr Barrett should be investigated on suspicion of breaching the Official Secrets Act after he copied a file he had compiled in relation to irregularities in Templemore and sent it by registered post to his home. "I suppose with the benefit of hindsight it probably was unwise to make that statement," Mr Culhane told the committee. Mr Culhane's letter claimed Mr Barrett's actions "were an implied threat of unauthorised action". He told the committee: "I had no idea what he was going to do with the information that had been collected. I was concerned that there might be some leakage to the press of issues that should have been dealt with in the formal process." Mr Barrett, one of the top civilians in An Garda Siochana who worked for Silicon Valley companies before joining the force in 2014, said he tried six times, including through solicitors and subsequently in a freedom of information request, to get a copy of the letter. He had only seen a heavily redacted version of it until the letter was disclosed as part of the committee's work. Mr Barrett described the affair as "appalling" and said he had no intention of going to the press. He said that having seen the letter, he believed it was an attempt at "very deliberate corralling of what I felt was my obligation to deal with and illuminate these matters". Mr Culhane initially defended another letter he had written, this time to Mr Kelly in October 2016 where he described his audit report as "misleading, unprofessional and mischievous". He also threatened to sue Mr Kelly. Mr Culhane said at the time that he believed the audit report did not adequately reflect the concerns he raised about financial practices in Templemore as far back as 2008. Under intense scrutiny at the committee, he retracted the remarks. "On reflection chairman, probably, it was an unwise use of words, yes, I would like to withdraw it," Mr Culhane said. Mr Kelly said he thought the letter was an attempt to get him to water down his report. Both Mr Kelly and Mr Barrett declined to offer full confidence in all senior management in the Garda. Mr Barrett said he had reservations and after hearing some of the content of the letter from Mr Culhane, he added: "I'm very concerned by what I learned this morning. Truthfully, it's quite shocking to me. You're probably asking me at a bad time." Mr Kelly added: "I'd concur. There are some questions." Later, following the question of a bank account in Cabra, Mr Kelly declined to go into detail about allegations of money from Templemore being sent to a bank account in Dublin under the control of a former senior officer. Social Democrat TD Catherine Murphy asked him if there was a specific allegation. "There is an audit," Mr Kelly said. "There are some issues that you touched on could be issues within that audit."